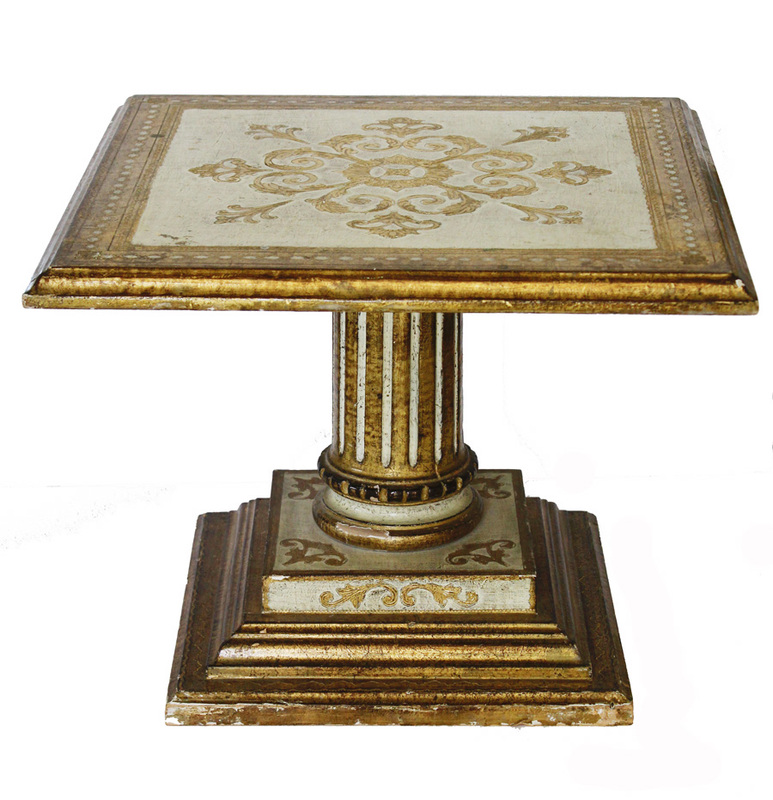 The antique Italian Florentine has become so popular and so hard to find. This is a pair of rare side/end tables that would be perfectly suited next to your sofa or reading chair. I've never seen a pair like these and I have collected Florentine for over 20 years. 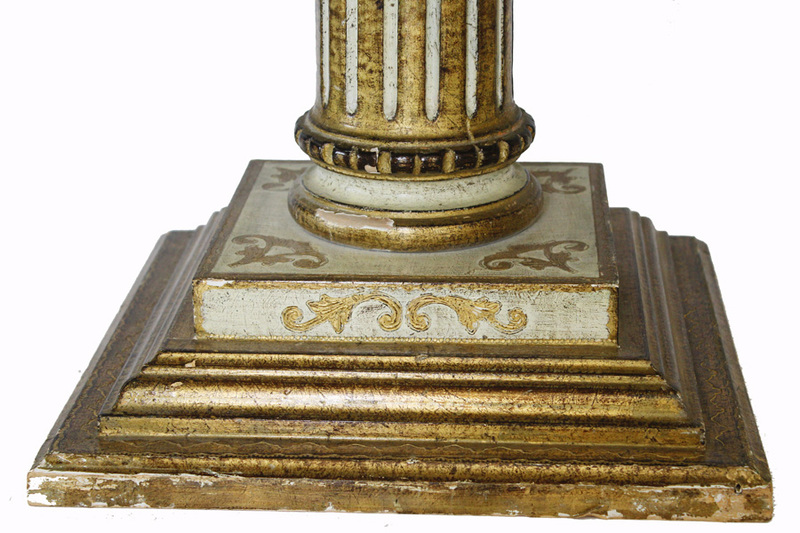 Beautiful carved and the gilt detail is aged to perfection. 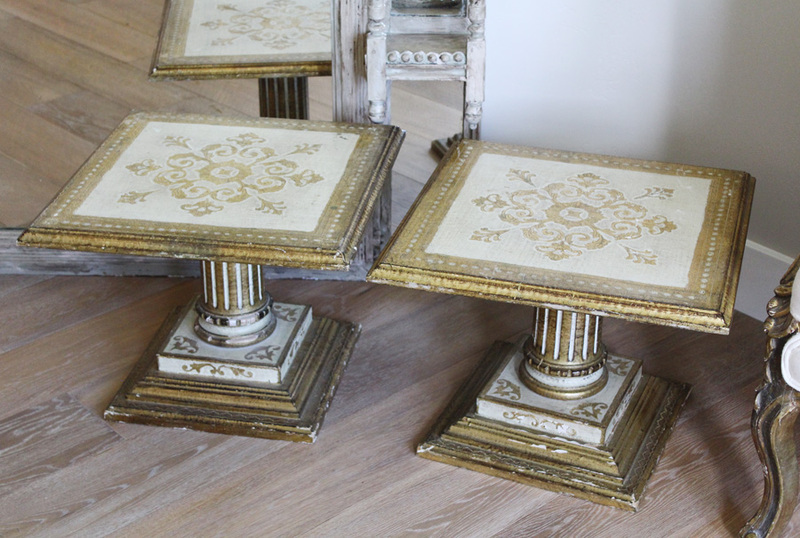 A classy pair of tables for any homes décor.